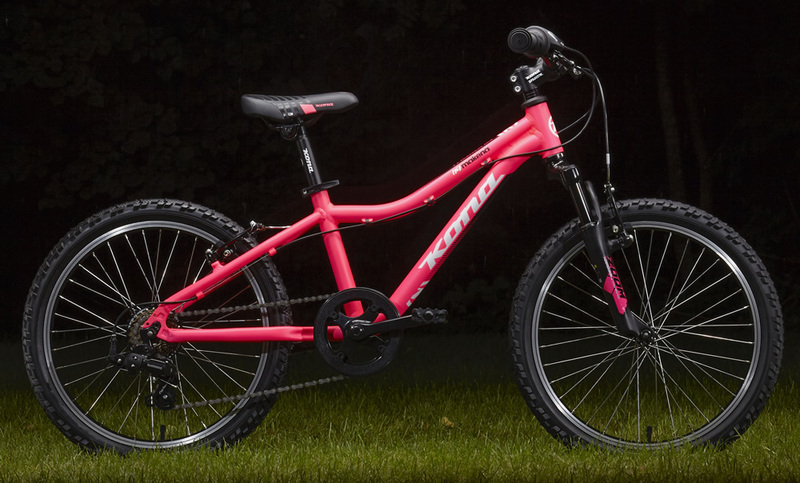 Set the wee one free on the ultimate starter bike.  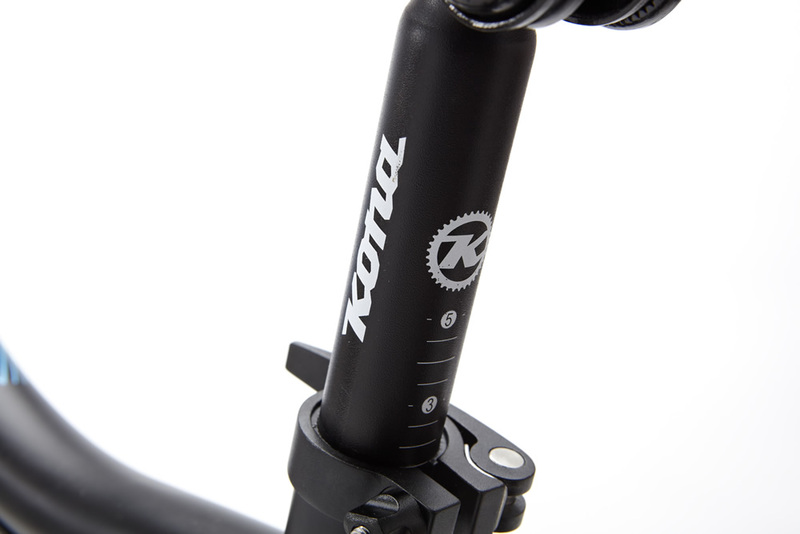 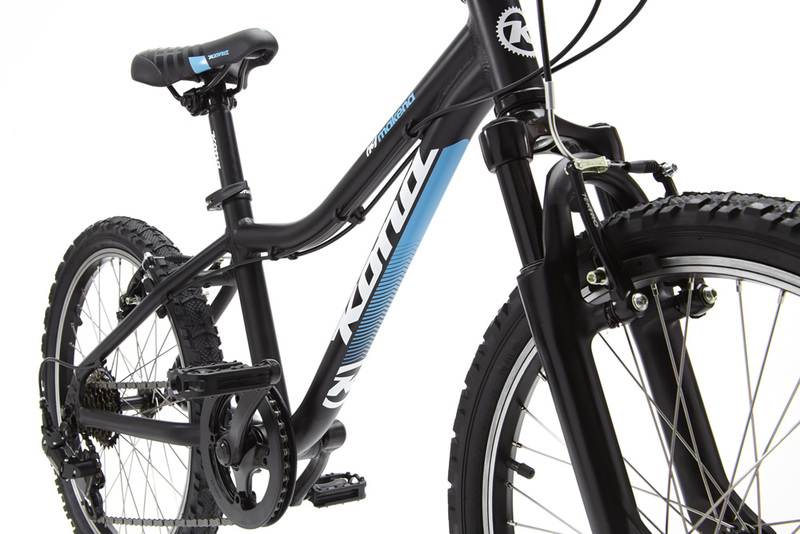 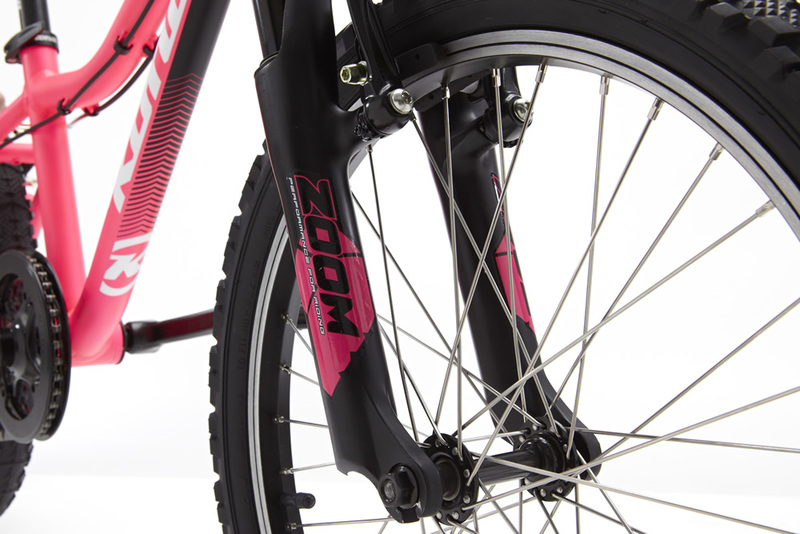 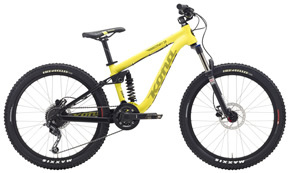 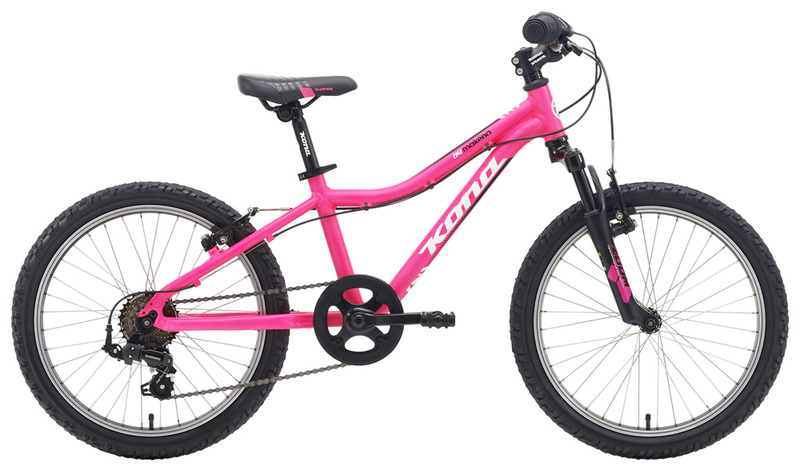 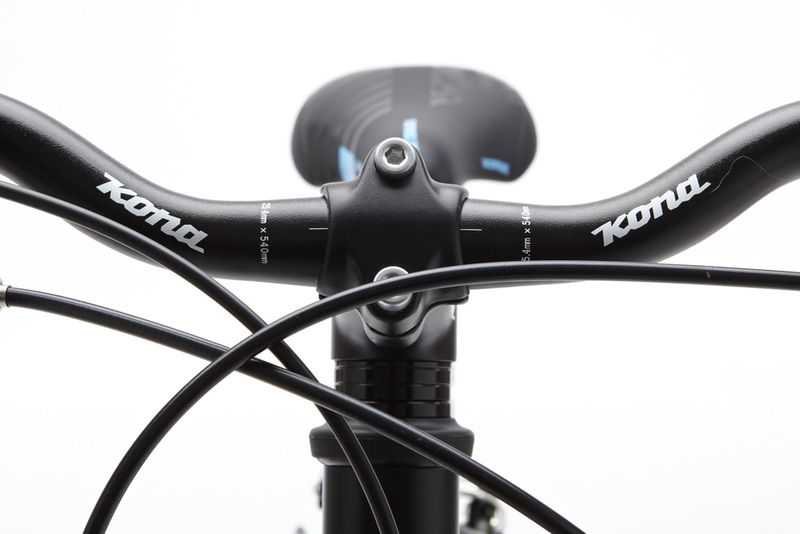 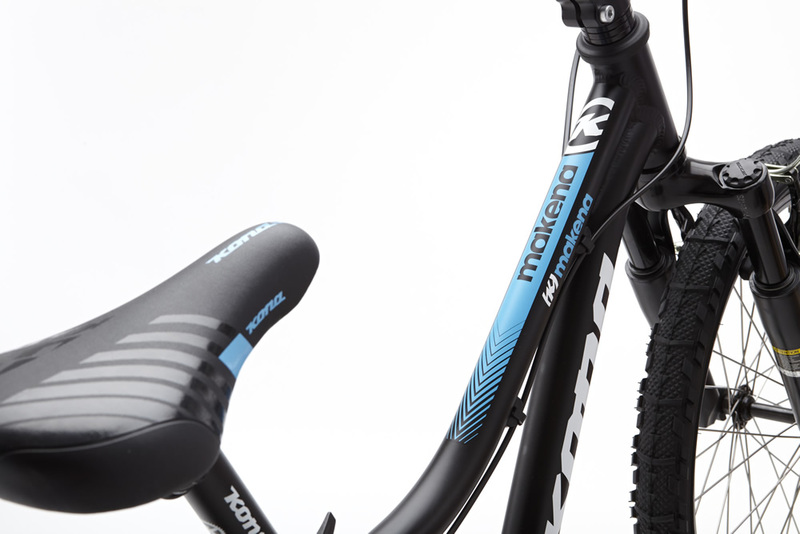 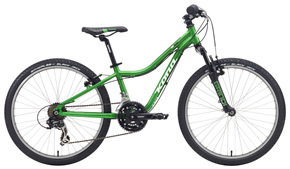 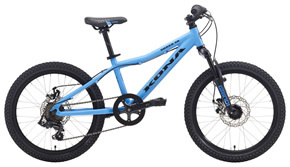 With great standover (so they don’t squash their valuables) that makes it easy getting on and off the bike, sweet front-suspension forks, grip shifters for small hands, and reliable components durable enough for frequent off-road use, your kids aged 5 to 8 years will charge confidently into the bright blue world of riding a bike. 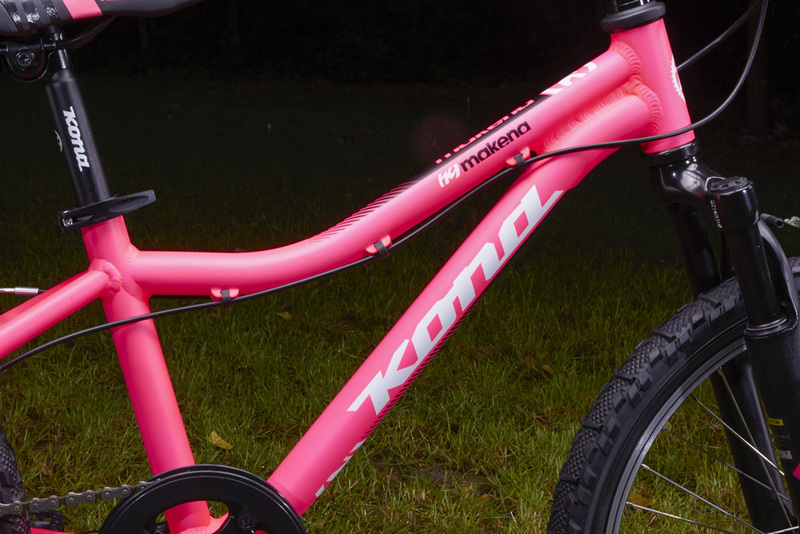 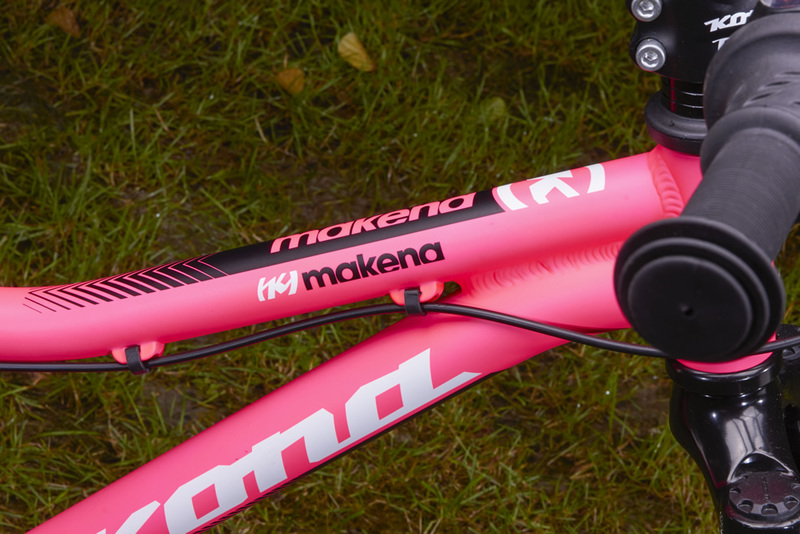 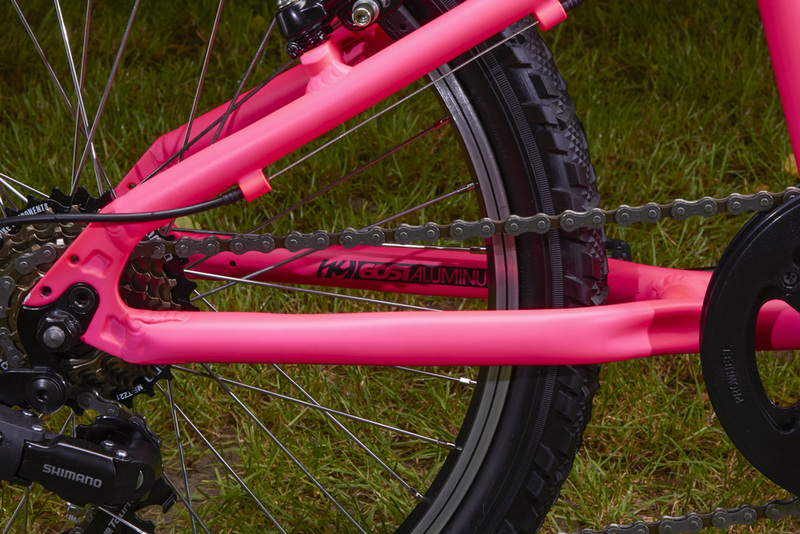 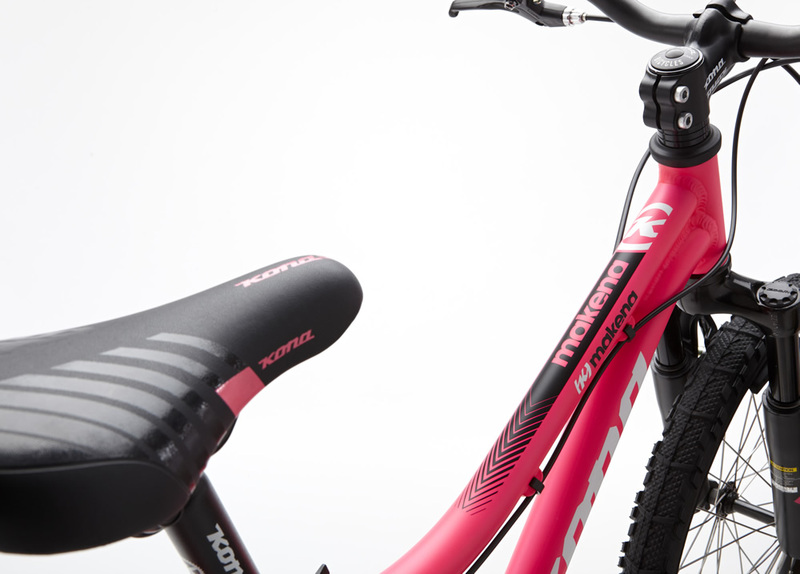 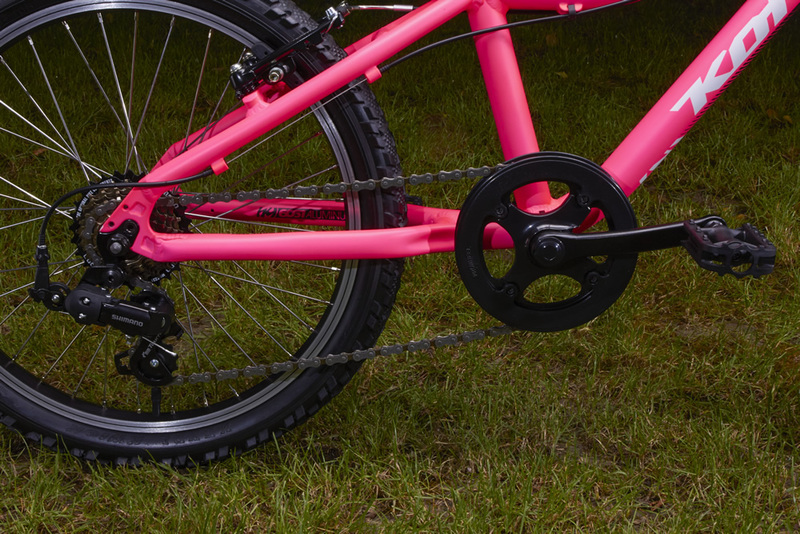 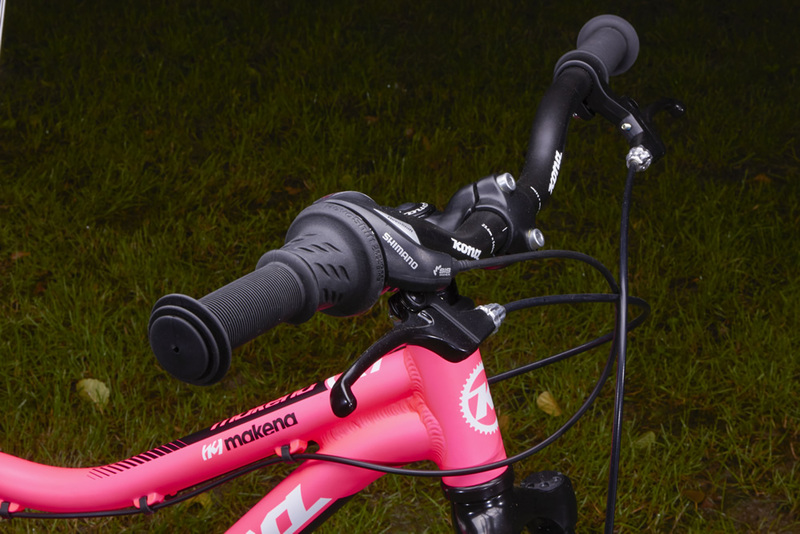 This year we made the Makena available in two different colorways, black for boys and pink for girls. 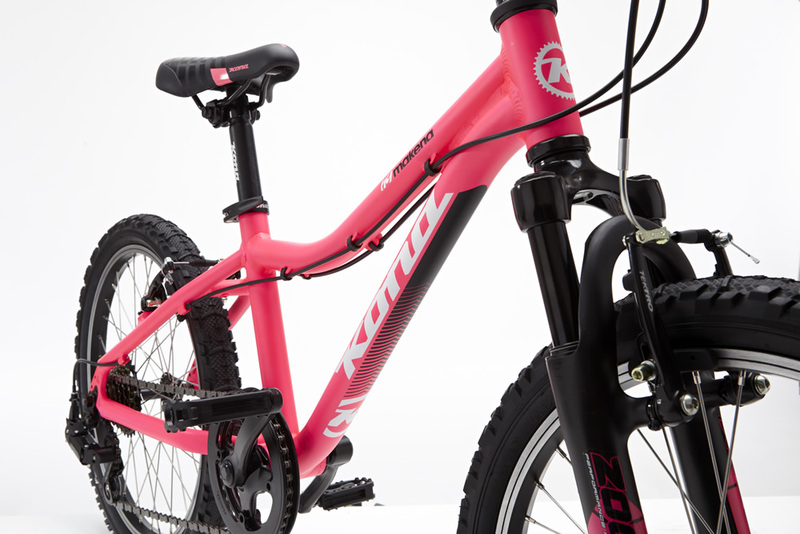 Go kids. 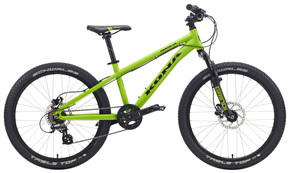 Front Tire Kenda Kwik 20x2.0"
Rear Tire Kenda Kwik 20x2.0"